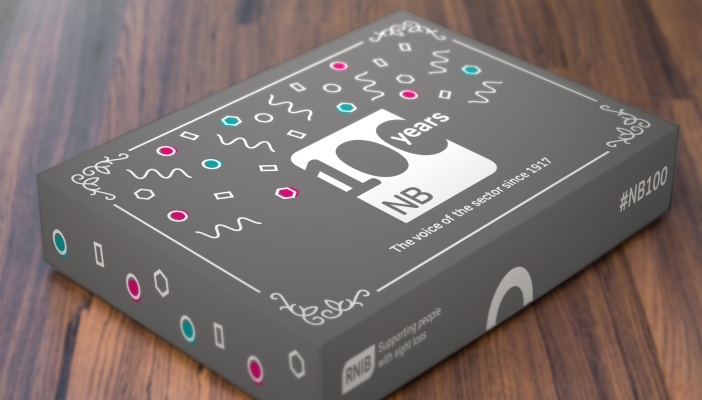 Due to an unprecedented demand for the NB commemorative magazine and Birthday Boxes, we’re sorry to say all 500 have gone. They’ve gone like lightning! If you weren’t quick enough to receive yours, don’t despair! You can still sign up to receive NB’s invaluable bi-weekly eNews which is full of the latest eye health and sight loss sector news, information and shared practice. There is an accessible PDF version of our limited edition centenary magazine. Please contact [email protected] if you would like to receive it.